Do You See the #InvisibleIreland? For those who live in Ireland you’ll know that homelessness is a big problem. Right now there are more than 5,000 homeless people in Ireland and the problem is particularly acute in Dublin where 139 people sleep rough every night, 7 people become homeless each day and on a monthly basis 16 families lose their home. For many homeless people this Christmas they’ll have no tree, no present and no family. Around this time of year many people make a donation to charity, but my good friend Peter Mc Neive is taking things a step further this Christmas by making the invisible, visible with the launch of Invisible Ireland. 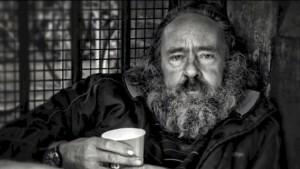 It’s a non-profit movement that wants to raise awareness of homelessness in Ireland and doesn’t solicit or accept donations — instead it encourages people to help. It’s completely up to the individual how they want to get involved. Homelessness is undoubtedly a complex issue and often involves addiction, mental illness, family breakdown or a combination of all three. Invisible Ireland isn’t looking to raise money (there are plenty of charities doing that) — instead it wants raise awareness of homelessness. People can show their support with a single Tweet. To show your support visit www.invisibleireland.com and send a Tweet featuring the #InvisibleIreland hashtag. You never know your message may inspire someone to help.